Bring a soft touch to your rebellious style wearing the The Kooples™ Leather Poncho with Studs. Moto style leather jacket with poncho overlay. Notched lapels with snap down closures. Studded accents on the poncho. 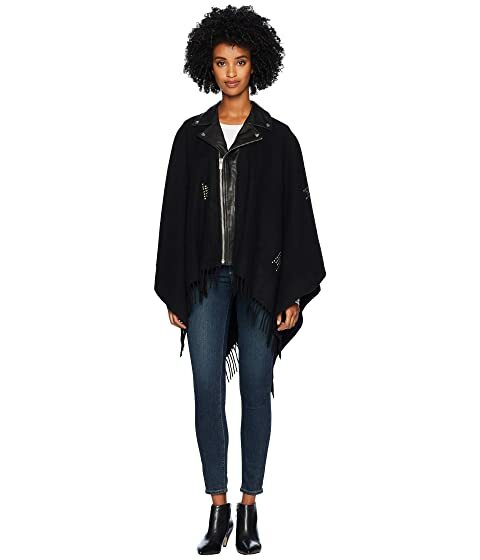 We can't currently find any similar items for the Leather Poncho with Studs by The Kooples. Sorry!